Ivy growing up the side of the building helps to give the home more of a cottage feel. Bright green ivy covers the facade of the home's entry, and a pair of tall, slender evergreen trees rest on either side of the steps. Shrubs and trees planted too close to your house can trap moisture, damage siding when the wind blows, and fill gutters with debris. 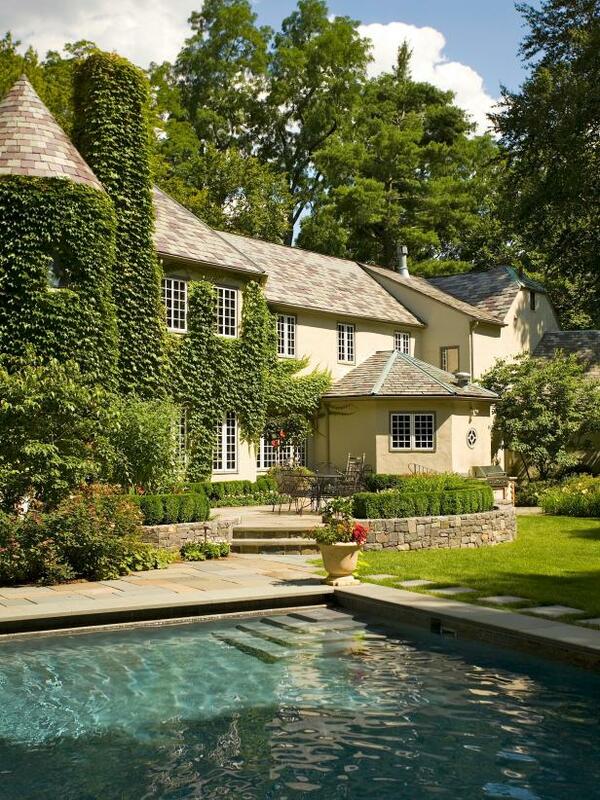 “I want to be able to walk behind shrubs — they need to be at least three feet from the house and from air conditioning units because they block airflow,” says Steve Gladstone, owner of Stonehollow Fine Home Inspection in Stamford, Conn. “With trees, you don’t want them rubbing against the house at all. If the sun can’t dry your house, you’ll have to repaint more often because mold and pollen will build up.” Prune regularly to keep your house envelope clear. Climbing vines like ivy, although beautiful, can splinter and rot wood siding and even weaken the mortar between bricks. 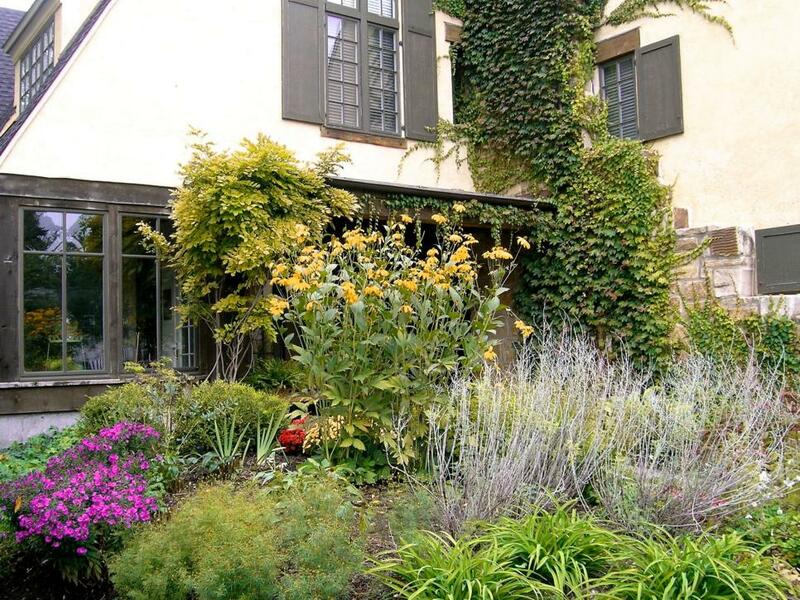 Prune any existing ivy so that it stays away from windows, gutters and trim. If your heart is set on adding a climbing vine, choose a twining vine that wraps around a trellis or other nearby structure rather than a vine that climbs by tendrils or rootlets that cling to the surface of your house. A gnarled tree twists in a small grassy plot near the front door of this marble home as ivy makes its way across the entryway. Three stalls and a spacious driveway ensure there's plenty of room for the owners' cars. Ivy climbing the side of the garage only adds to the home's charm. 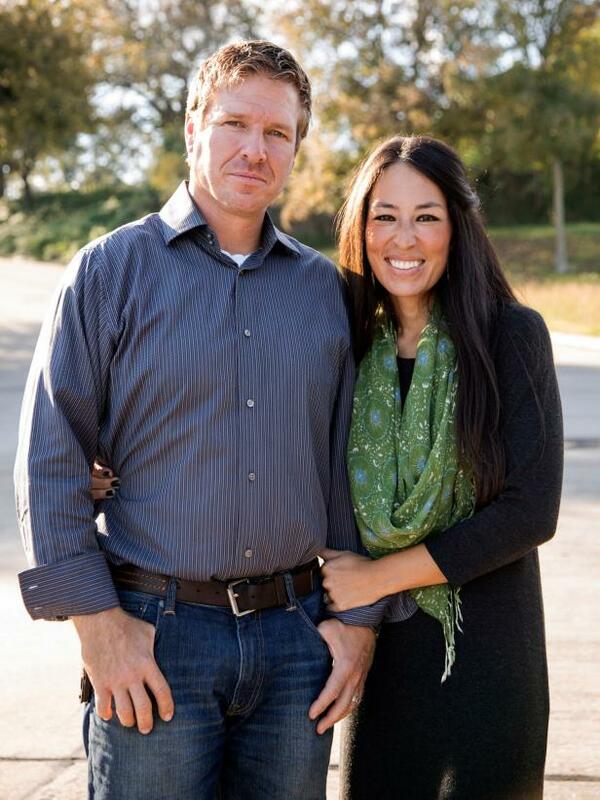 Chip and Jo take clients Becky and Heath Ivy to the suburbs of Woodway, Texas in search of a contemporary home for their growing family and Heath's thriving business. When landscape architect Katharine Webster first saw the front garden at the home that would become the San Francisco Decorator Showcase 2015, she felt something was missing in parterre garden constructed of boxwoods and backed by an ivy-colored wall. 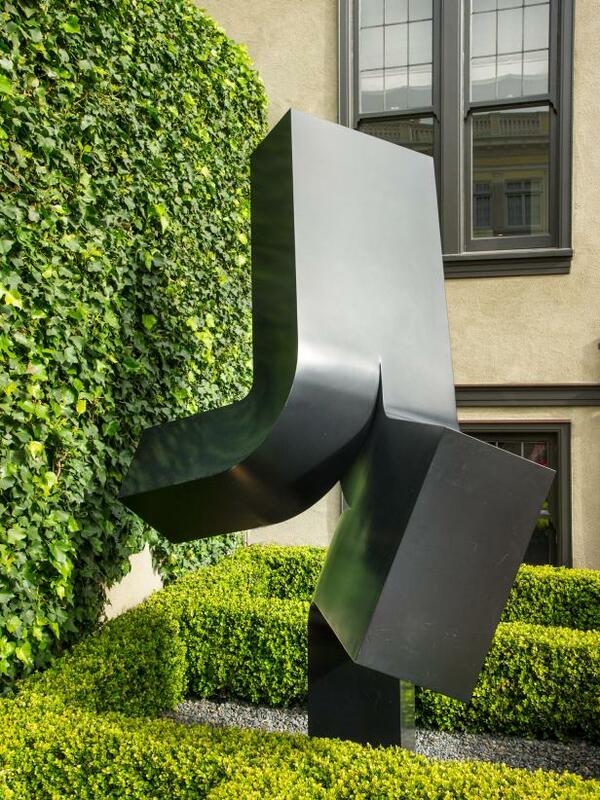 Webster introduced UPBEAT, an aluminum sculpture by Clement Meadmore, to complement the space. 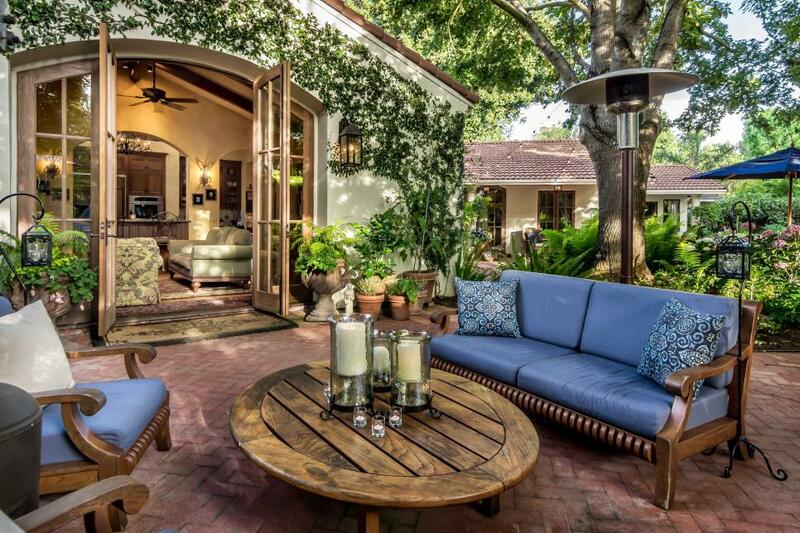 French doors open up the interior living space to elegant, inviting patio. Red brick grounds the space, which is surrounded by lush flower beds and beautifully potted plants. Old World-inspired furniture pairs with cool blue pillows to reflect Mediterranean style. 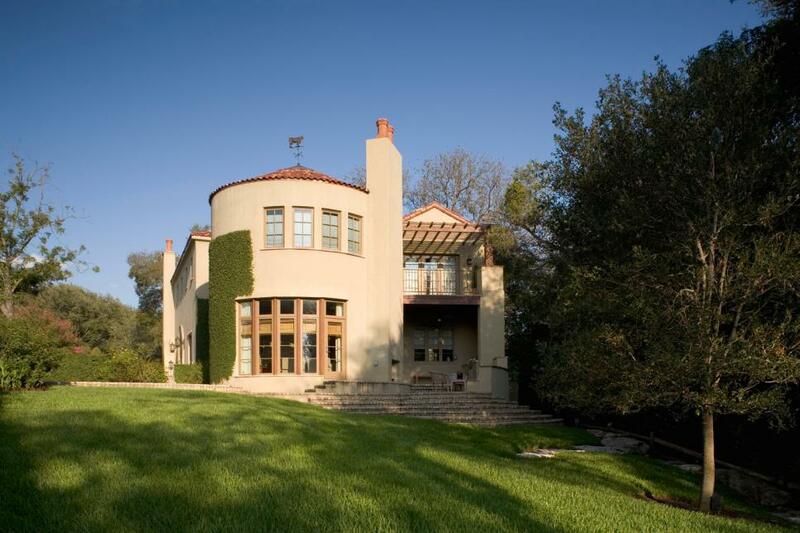 Ivy covers the side of a turret on this Mediterranean style home. A stained wood pergola covers the second level deck. Terraced steps from the patio lead out to a sloped backyard. 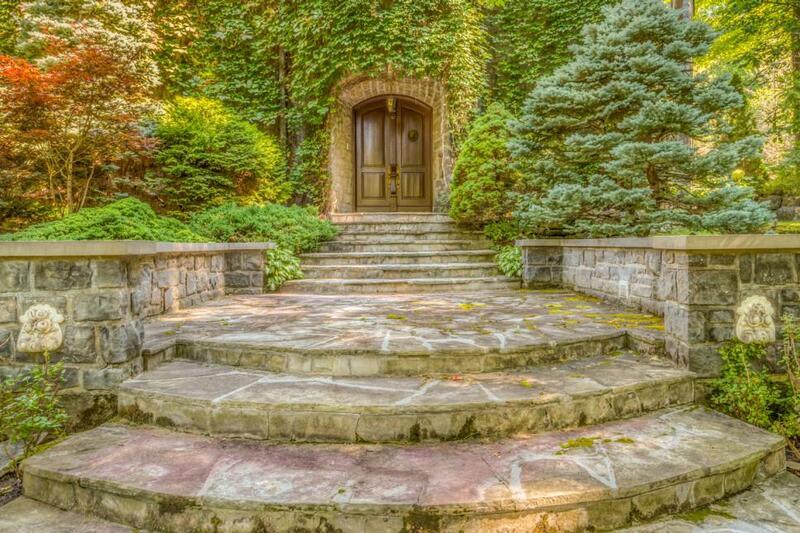 Stacked stone garden walls and wide stone steps lead up to the grand entrance of this Tudor-style home. 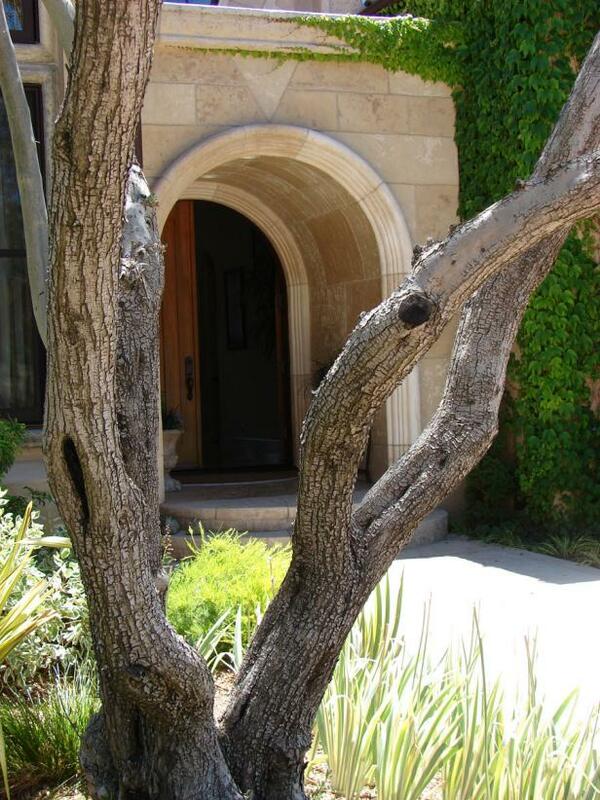 Ivy-covered exterior walls allow the traditional arched wooden front doors to stand out. 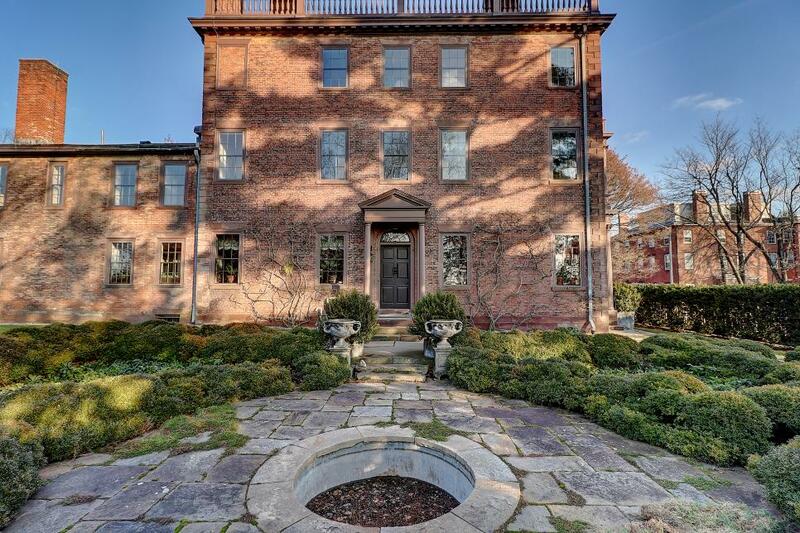 A cobblestone courtyard, trimmed hedges and planters create the formal entrance that this Federal-style home deserves. 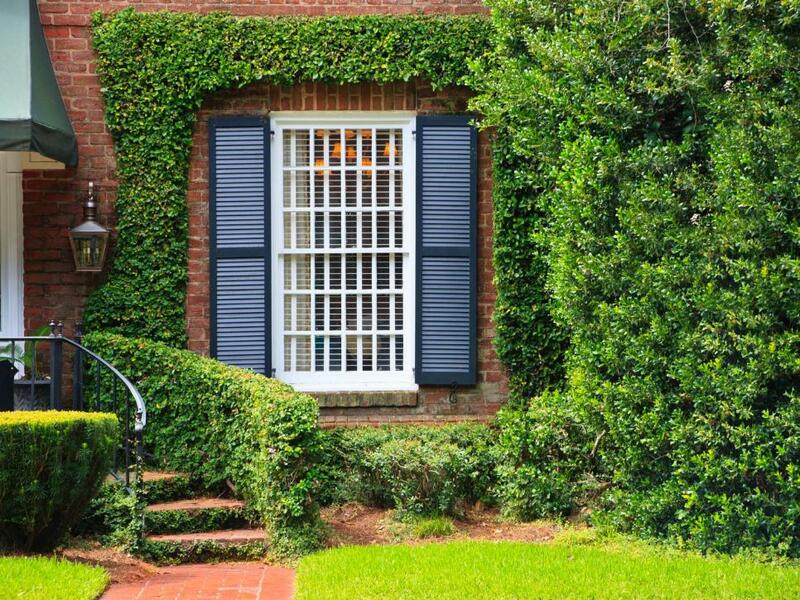 In the summer, ivy climbs the brick exterior and completes the picture-perfect look. Large stone pavers spaced throughout the grassy backyard create a contemporary, geometric walkway. 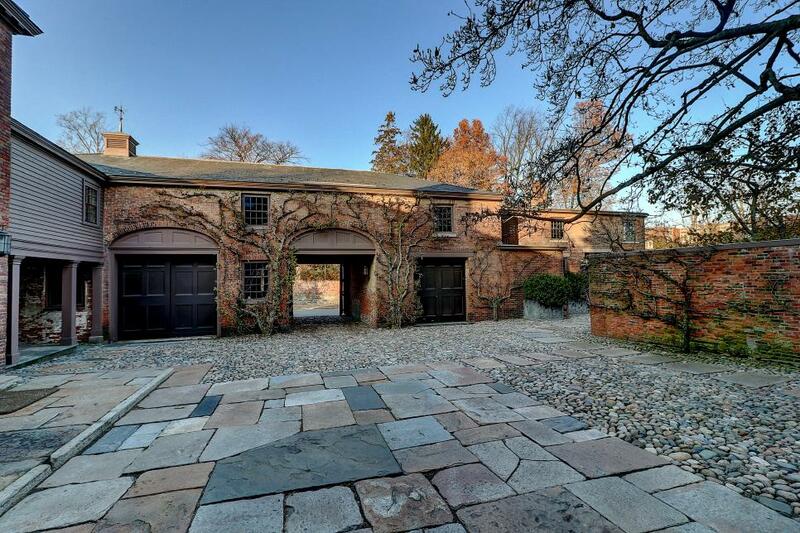 Stacked stone archways lend an Old World feel to the home and line the covered patio. 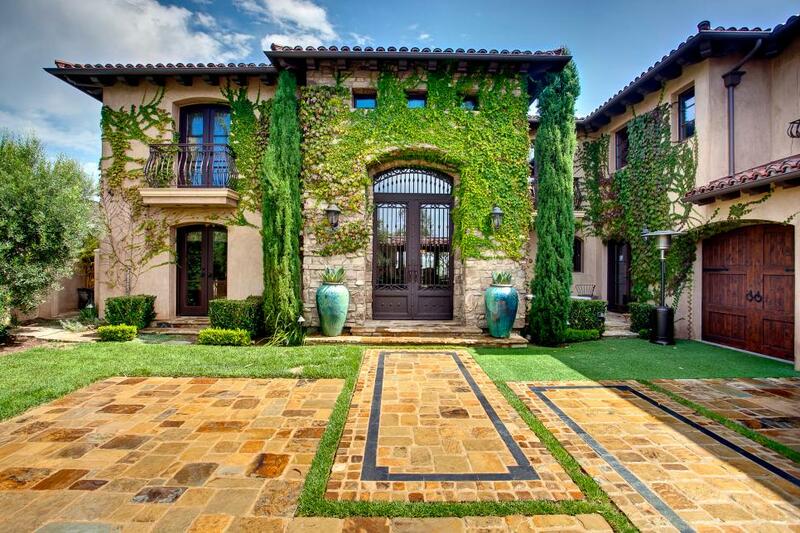 Ivy-covered columns and elegant landscaping add to the traditional atmosphere of the outdoor space. 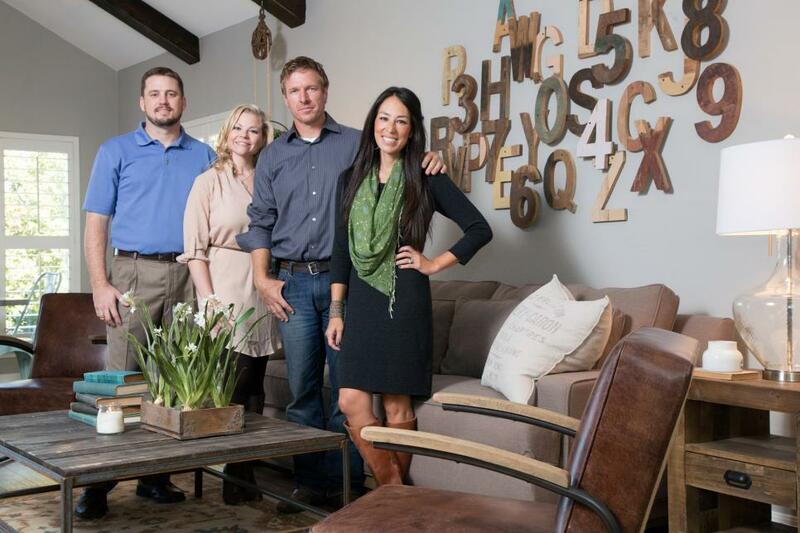 From: Cross River Design, Inc. 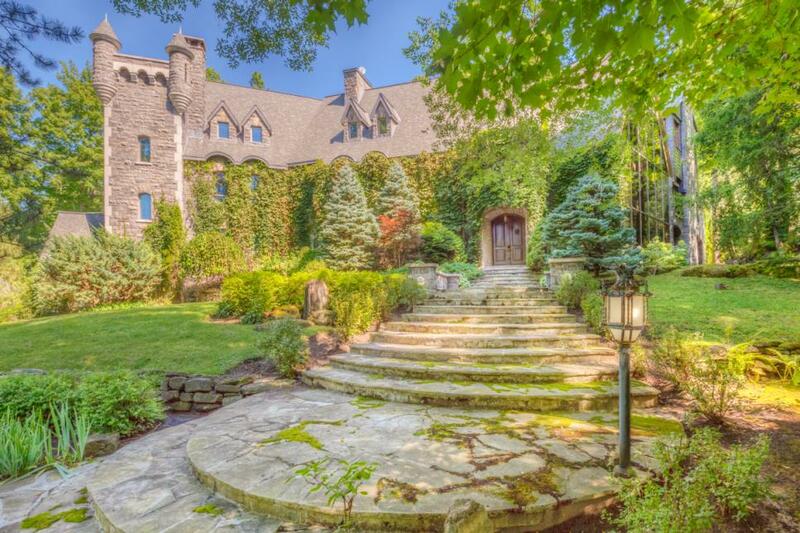 Designed to look like a European chateau, this Tudor-style stone home is surrounded by lush landscaping and beautiful trees. 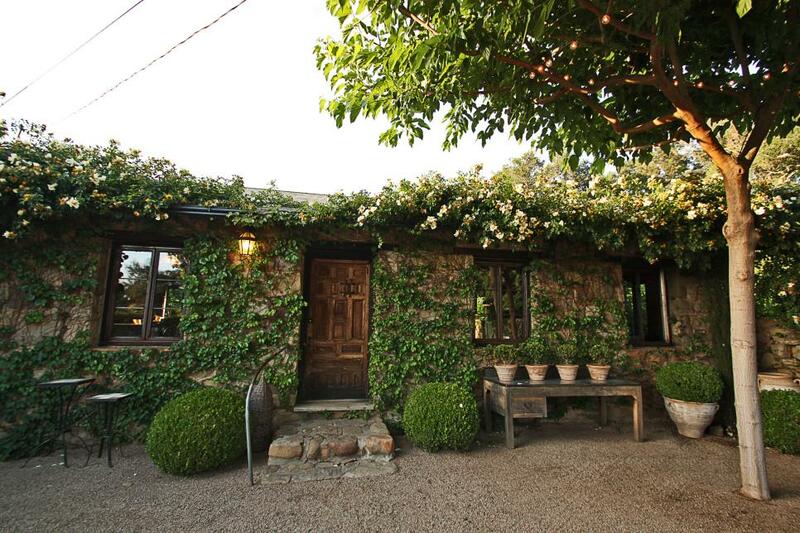 The walls are covered with ivy, creating an Old World look, while wide stone steps lead up the entrance. 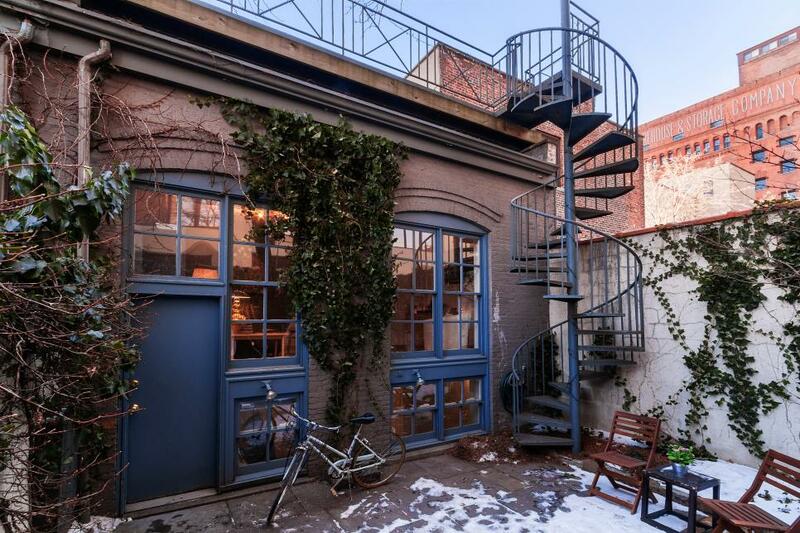 Covered in ivy, this urban home features a blue front door, blue framed windows and a blue spiral staircase that leads to the rooftop.